The fast-growing pace of today’s technology provides us with the most functional tools that are specially designed to make our everyday lives easier. Motorcycle helmets are no exception to this development. Among many other things, we have learned to add Bluetooth to motorcycle helmets to allow for endless possibilities. With this new addition to helmets, motorcycle riders are given the privilege to communicate with friends, family, and other co-riders all while beating the rush hour traffic. Moreover, it gave them the chance to connect their GPS system or MP3 player directly to their helmets, eliminating the hassle that is brought about by using earphones with long wires. 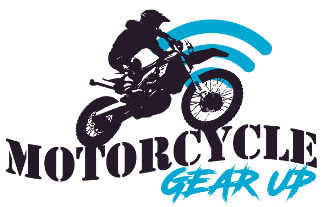 A simple search on the internet would provide you with hundreds of motorcycle helmets that are either Bluetooth-ready or have built-in Bluetooth communication systems installed. If you wish to find out how to add Bluetooth to motorcycle helmets the DIY way, we will show you how it is done in simple and easy-to-follow steps. In order for you to add a Bluetooth communication device to your helmet, you would need a headset that is Bluetooth-ready. When you already have this, all you need to do is remove the cushions from each of the earphones so that it can be mounted on the helmet easily. Mounting a Bluetooth headset to a helmet with a built-in communication system requires minor interior changes to be made. Put a mark on the helmet where your ears are normally located. Make a cut and remove the cushioning on the determined location. Ensure that space is big enough to accommodate the headset while also making sure that the helmet still fits the shape of your head perfectly. Put the headset into the sockets that you made. Lay the wires on the already existing wire channels that were designed for the built-in communication channels. When all the wires have been installed, glue the headset onto the insides of the helmet to make sure that it holds firmly. If the helmet you have on-hand has no provided space for a built-in communication system, then you would need to make changes to both the interior and exterior of the helmet. Listed below are the steps to do this. Preparing the Bluetooth headset that you wish to install in your helmet is the first step to achieving this DIY project. To do this, you would need to disassemble the headset. Start by removing all the screws and then follow by carefully removing the ear cushions. After doing this, remove the wires while also paying attention to where each wire is originally located. When you have pulled apart your Bluetooth headset, the next step would be to prepare the helmet for mounting. Determine the exact position wherein you are to mount your Bluetooth helmet. Cut out a hole that is big enough for the wires to pass through. You can remove the interior cushions to do this easily. Pass the wires of the headset through the hole that you made in your helmet. After doing this, you may now start to reassemble the Bluetooth headset inside the helmet. You might need to solder the wires to ensure that it is firmly connected. After the wires are securely connected, test if the headset is working properly. If yes, then you can now put all the cushions back and glue the headset in place to make sure that it holds firmly. If you find these DIY steps too complicated to follow or an utter waste of your precious time, you can always find Bluetooth-ready motorcycle helmets or helmets that already have a built-in Bluetooth communication system through a few clicks on the internet. Just make sure that you also conduct a thorough research about what each of them offers so that you can guarantee that they match your specific needs and preferences perfectly.